The Mutual Safe Group was founded in 1984 and has since grown to become not only a household name but also a name synonymous with functionality, reliability and a dynamic team. With the continued expansion of services and product offering, a relentless pursuit of progress, and a passion for thinking out of the box, Mutual continues to challenge boundaries and deliver on our promises. Since inception, Mutual has had traditional safes as its core business and within this stable, an extensive array of products are on offer, and have been warmly received both Nationally and Internationally. Mutual proudly offers premium quality Category Safes, SABS rated safes, Deposit and Cash Management Safes, Fire Safes and Filing Cabinets, Home, Office and Gun Safes, Lockers and Truck Hoppers. Doors have become a massive market segment and our product design, manufacturing quality and installation experience and expertise has kept the Mutual name ahead of the pack. This product offering is extensive but remains specialised and includes: Anti-Bandit Doors, Strong Room Doors, SABS Rated Doors, Record Room Doors, Fire and Blast Resistant Doors, Bulletproof Doors and, of course the highly impressive Vaults. As part of the expansion into other areas, The Mutual Group is immensely proud to offer Security Solutions that go beyond the norm, and these include Time Lock and Access Control Solutions. Further to these, and more specialised, are our Turnkey Airtube Solutions and, more recently, Mobile ATM Units, ATM Drop Units and ATM Trailers. Last but by no means least are the Divisions that cater for service related requirements in the industry with the main elements being Logistics, Removals and Installations and then Servicing and Locksmithing. Mutual Safes was established in 1984 and the Head Office, with manufacturing plant and export division, is situated at 325 Zasm Street, Waltloo, Pretoria. A second manufacturing plant operates out of George in the Southern Cape. Between them, these two factories service associated companies and branches across the country with offices in Johannesburg, Cape Town, Durban, Bloemfontein, Nelspruit and Port Elizabeth. The group has been actively exporting for the past 25 years to the United States, the Middle East, Europe, Australia and into Africa. Exports form about 40% of Mutual’s business and Mutual exhibits on numerous international trade fairs on an annual basis. EMEA, the acronym for Europe, Middle East and Africa was launched as an independent export division of the Mutual Safe & Security Group. Since its inception in February 2015, EMEA has established agencies in Namibia, Botswana, Zimbabwe, Zambia, Malawi, Kenya and Nigeria with a further 3 countries to be securely represented before the end of the year. 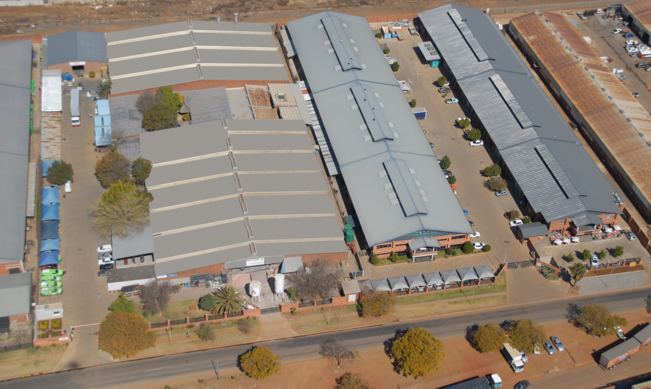 EMEA operates out of Mutual Head Office in Waltloo, Pretoria, South Africa. South African Bureau of Standards approved (SABS) and ISO 9001/2000 . We are also approved by the Underwriter’s laboratory of USA (UL) amongst other international qualifications and we are listed in the European Safe Ratings. The SABS 0157 compliance award was presented to Mutual Safes Chairman, Arun Green, in 1989. This achievement assured the continued success of the group’s exporting activities by qualifying the Mutual product to enter Europe with the equivalent of the ISO 9000 European standardisation market. On 28 March 2003, Mutual safes was awarded the ISO 9001/2000 certification for quality management systems. This level incorporates ISO 9001 for the design of the safes, strong room doors and other physical security products, ISO 9002 for the manufacture and supply, and ISO 9003 for the installation and servicing of these products. This places Mutual in a class of it’s own in the South African Safe manufacturing business. Mutual Safe and Security supplies most of South Africa’s retail chains and fast food chains with their safe requirements. Mutual is the preferred supplier to the petroleum industry, and also supplies other industry sectors such as corporate, mining, construction, jewellery, government, hospitality and banking. Mutual is the market leader in the supply of specialised cash-in-transit safes to cash collection companies.